The Uncanny Kickstarter Is Over, and We Reached ALL of Our Stretch Goals! You Beautiful, Spectacular, Space Unicorns! We did it! 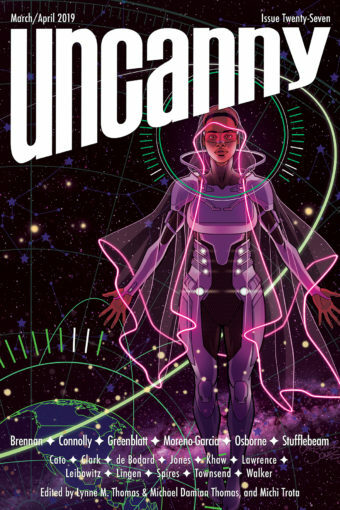 The Uncanny Magazine Kickstarter is over, and we reached the final stretch goal with minutes to spare! This means we’ll have a magazine with original covers by Tran Nguyen & Galen Dara, 2 additional essays per issue, and 2 additional stories per issue! Since we have over 1001 Backers, the Amazing Amal El-Mohtar made a video of her reciting some original Space Unicorn limericks. You can watch Amal’s video here. 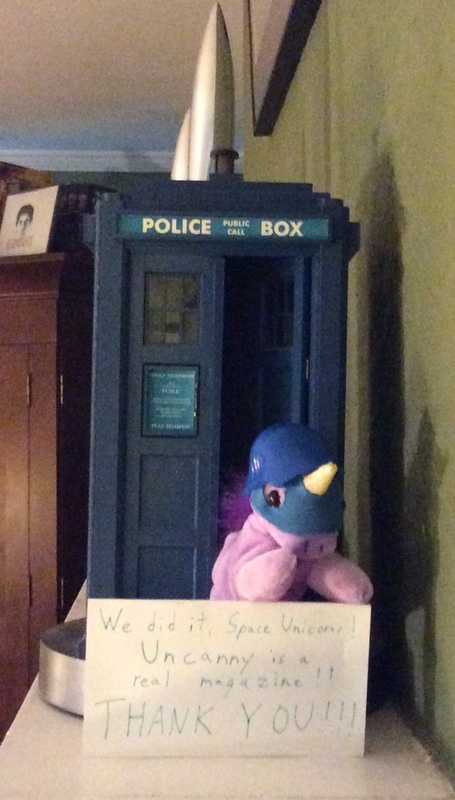 We couldn’t have accomplished this without you, our wonderful Space Unicorn Rangers Corps. THANK YOU. We can’t begin to tell you how much we appreciate your kindness and generosity. Now it’s time to get to work and make you a magnificent magazine filled with phenomenal content.